Venezuela didn't pay its bills last week. It also owes a lot more money very soon as it spirals further into chaos. The country's government and its state-run oil company missed five small debt payments last week totaling $349 million, according to three experts who closely follow the debt. Delayed payments are becoming increasingly common for the country's bondholders. But a new excuse is surfacing: President Donald Trump and the financial sanctions his administration imposed on Venezuela in August. The government hasn't commented on why it didn't pay this time but in late September, Venezuela Vice President Tareck El Aissami -- who the Trump administration labeled a drug trafficker -- blamed Trump for a separate delayed payment. "We're starting an era where the dictatorship of the 'dollar boss' won't be imposed, and we're ridding ourselves of this supposed threat of Trump," El Aissami said on September 22, according to state-run television VTV. This latest delay comes on the heels of gubernatorial elections in Venezuela on Sunday that many in the international community derided as fraudulent. President Nicolas Maduro's party won a majority of the states despite private polls that show widespread unpopularity. Several nations, including the U.S., have labeled Maduro a dictator after he essentially kicked his political opponents out of office. 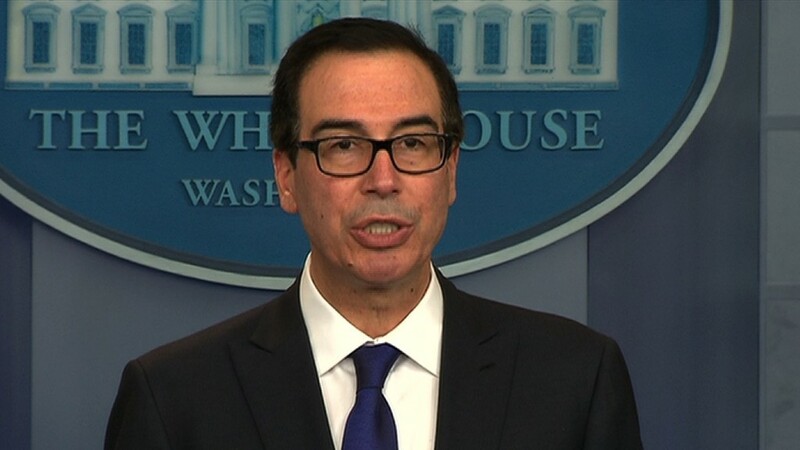 In late August, the Trump administration barred banks operating in the United States from any transactions involving new Venezuelan debt and some existing bonds. Experts say banks are now hesitant to do any type of business with the regime. To be clear, Venezuela President Nicolas Maduro has blamed the U.S. for years for his country's problems. His administration is just tweaking its criticism now. Although Venezuela missed the deadline last week, it hasn't entirely defaulted on its debt -- a major problem if or when it happens. The government still has a 30-day grace period to make the payments. Bondholders have seen these delays before and they expect the small payment will eventually be made. Some aren't convinced Venezuela is truly running out of money despite its widespread economic and humanitarian problems. "Nobody knows how, but they continue paying and they continue [to stay] in power, and it's a sad story," says Diego Ferro, co-chief investment officer at Greylock Capital, a firm that owns Venezuelan debt. "The market is getting used to this sloppiness of handling payments." Experts surmise there are a few more reasons behind the delay than just the U.S. sanctions. They include: no cash, no organization or that Venezuelan leaders may be waiting for a loan to come through. The radio silence from the regime regarding its financial crisis is getting worse, experts add. For example, the National Public Credit Office often tweets when it makes a debt payment. The state-run oil company, PDVSA, also boasts about paying its bills on social media. Neither has tweeted about the money due last week. "They're trying to hide the fact that they're under financial distress," says Russ Dallen, managing partner at Caracas Capital, a Miami-based firm that does not own Venezuelan debt. Blaming U.S. sanctions is "a dog ate my homework excuse, they have other ways around the situation." Venezuelan leaders need to find those other ways soon: Between October 27 and November 2, its entities owe over $2 billion to bondholders. The central bank, which has drained its reserves to make payments, only has $9.9 billion left. The country's "ability to pay will more seriously be called into question," on those dates, says Edward Glossop, an economist at Capital Economics who covers Latin America. What's worse: Venezuela's only source of income -- oil -- is drying up. Literally. There were only 44 oil rigs in operation in Venezuela as of September. That's down from 81 rigs four years ago, according to Baker Hughes, an oil service provider.